Nothing says spring quite like tooling around in a vintage automobile — or at least pretending to drive one from the comfort of a warm museum. 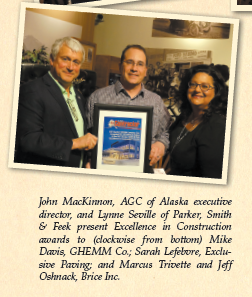 AGC of Alaska held its Fairbanks Agency Day and Spring Board membership meeting in Fairbanks in April, kicking things off with a party at the Fountainhead Antique Auto Museum on April 19. At the kickoff party, AGC honored Brice Inc., Exclusive Paving and GHEMM Company for participating in the Parker, Smith & Feek Excellence in Construction Awards at AGC Annual Conference in November 2017. 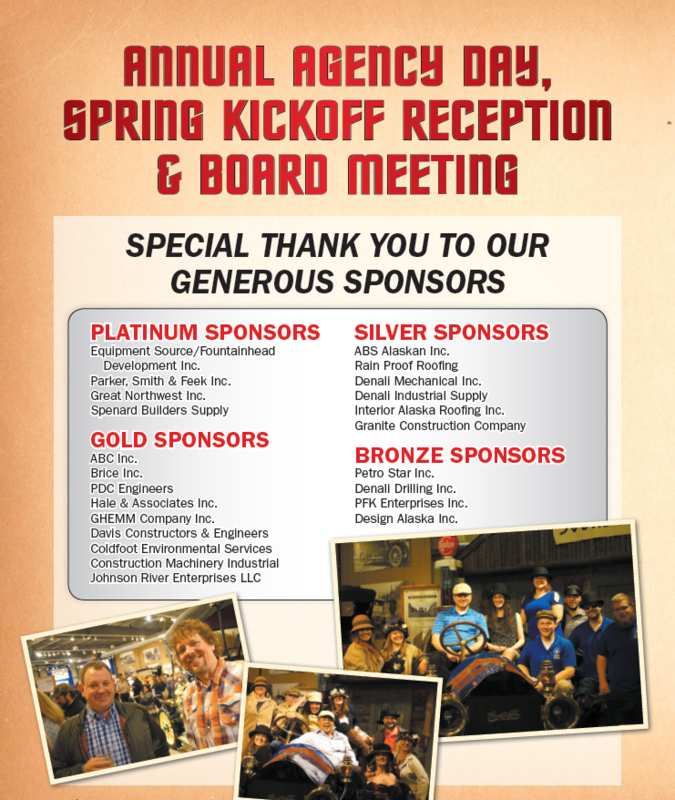 The AGC of Alaska Executive Board expresses our appreciation to all the generous sponsors and our sincerest thanks to everyone who joined us for Agency Day, the Spring Kickoff Reception and the Board of Directors meeting in Fairbanks.